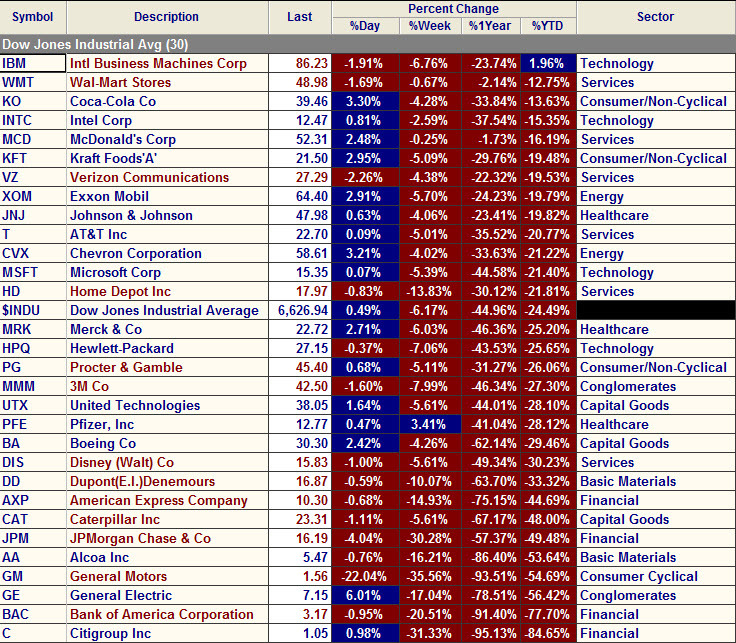 There is only one stock in the Dow Jones 30 that is actually up YTD through 3/6/09. Take a look at the table below. The next closest is Walmart (WMT) with a 12% loss.